People have different views about age disparity between two persons in a relationship, be it marriage or dating. While some people cannot imagine getting involved with someone who is very much older than them, others simply don’t mind. A good number of ladies seem to be more comfortable with older men probably because they may be more experienced with women and consequently, understand their needs better. Rosalind Ross belongs to this class of ladies being the girlfriend of American actor and filmmaker, Mel Gibson who is 34 years her senior. Born on July 5, 1990, in Aptos, California, USA, Rosalind Ross is of North American ancestry. She acquired her high school education at Palo Alto High School and upon her graduation, she moved on to Emerson College from where she bagged a Bachelor of Arts degree in creative writing. She also attended NEO A&M College. Although there is no available information about her parents and siblings, it would be right to say that she had a stable and happy childhood considering the fact that she had already become an expert horse rider at the age of 9. She even went as far as competing in events which took place in her home state. Rosalind Ross eventually grew up to become an accomplished equestrian vaulter champion. In addition to that, she is also an actress and screenwriter best known for her contribution to the production of the American television show, Matador. The beautiful lady is also credited for her role in a series of short films and TV series. However, her rise to the spotlight had almost nothing to do with her career. Rather, it is largely as a result of her relationship with Hollywood veteran actor and filmmaker, Mel Colmcille Gerard Gibson. As of 2004, Rosalind Ross was still very much involved in her equestrian vaulting career. That year, she took part in the World Vaulting Championship and won a bronze medal. This achievement got her a spot among the Mount Eden Vaulting Club team where she worked until she joined the FAME team in 2006, winning a gold medal at the Alltech FEI World Equestrian Games. Despite recording a number of successes as a vaulter, Ross decided to make a career switch in 2014, abandoning her athletic career for a career in writing. Her first project in her new career was a screenwriter job for the Amazon Prime show, Matador. Also in 2014, she wrote a short film titled Homeward and later made her acting debut in a 2016 short film, A Social Life. At the moment, the charming lady works as a mentor at a national youth charity named Ambition. She earns an estimated yearly salary of $72,414 from her acting and screenwriting job and as of 2019, her net worth is estimated to be around $1.5 million. Being the girlfriend of a man who has a net worth of $425 million, there is no doubt that she also enjoys a portion of this huge fortune. 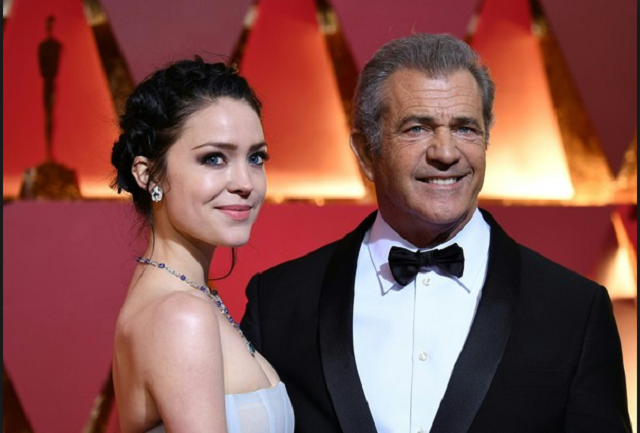 Rosalind Ross and the Lethal Weapon star, Mel Gibson, met in 2014. At the time, Ross was just 24 years old while the filmmaker was 58 but the age difference was irrelevant to the young lady who probably believes that compatibility and chemistry are far more important. Rosalind Ross was signed to work for Gibson’s production company, Icon, unknown to either of them that it was fate that had brought them together to begin a romantic relationship that has now lasted for half a decade. Mel Gibson, a native of New York, was born on January 3, 1956, in Peekskill, New York. He is the second son and sixth child of Hutton Gibson and Irish-born Anne Patricia’s eleven children. He is popular for his role as Max Rockatansky in the first three films in the Mad Max post-apocalyptic action series – Mad Max (1979), Mad Max 2 (1981) and Mad Max Beyond Thunderdome (1985). He is also well known for portraying the character of Martin Riggs in the Lethal Weapon film series. Before the duo went public about their relationship in 2016, Ross often visited the one-time Sexiest Man Alive in his Costa Rica ranch. Following media criticisms that trailed their secret relationship, the two stood firmly in defense of their love and after about two years of keeping things secret, they eventually made it public in 2016. Not only did they confirm that they were dating; they also attended public events as a couple and were first seen together at the Golden Globe Award in Los Angeles, where she showed off her baby bump. Although the couple is living happily together, they are not yet married. See Also: Who Was Ralphie May, His Wife – Lahna Turner? How Did He Die? Three years after they started dating, Rosalind Ross and Mel Gibson welcomed their first child named Lars Gerard Gibson on January 22, 2017. While Lars is his mother’s first child, he is his father’s ninth child and seventh among his sons. The actor shares a daughter, Lucia, with his ex-girlfriend Oksana Grigorieva, Russian pianist whom he broke up with in April 2010. Before Oksana, Gibson was married to Robyn Moore with whom he had seven children. He and Robyn got married in 1980 and their marriage lasted for 31 years before they parted ways in 2011.